Welcome ECE players and parents! We need everyone to attend this important meeting. Register for our team with CHRVA – All players should log in to their CHRVA account and update their membership to change the Club Name from “undecided” to “East Coast Elite” ASAP. Once you log in, you can find this option located under the “Member Profile” on the “Member Area” menu on the left. If you didn’t get a full membership initially, you will need to do that in order to claim East Coast Elite as your club. Help us get everyone’s contact info in one place. We will be setting up TeamSnap sites for each team and will need PARENTS AND PLAYERS to update your contact info in this tool. This will be our primary tool for communication and scheduling. Please accept your TeamSnap invitation, update your contact information, and check TeamSnap frequently for any updates or schedule changes. ***Note: This is where our practice schedule will be maintained. Collect your ECE Fees Contract: On our website (under Parent/Player Resources), you will find the ECE Fees Contracts. Please note that you are responsible for paying the club the complete fee ($2200 for 15s, 16s, and 17s elite players, $1100 for 15s, 16s, and 17s reserve elite players), regardless of whether your daughter stays on the team all season. The money holds her spot and pays for all team expenses. Please download, print and sign your Fees Contract and return it via e-mail this week or in-person on Sunday. Collect Parent and Player Expectations Contracts: On our website (under Parent/Player Resources), you will find contracts regarding parent/player expectations. We will discuss these expectations at the meeting. Please download, print and sign your Parent and Player Expectations contracts and return them via e-mail this week or in-person on Sunday. Collect your ECE fees: Fees are to be paid in 4 equal installments, and all checks are due at signing. Again, your first quarterly payment is due on Sunday, and we will collect 3 post-dated checks for the remainder of your fees. Installment dates for dating your checks include: (1) November 20, (2) December 15, (3) January 15, and (4) February 15. ***Note: you are more than welcome to pay the entire fee at signing via one check, if you are so inclined. Please bring your initial payment and 3 post-dated check(s) on Sunday. Collect Documentation: Each player will need to bring a copy of their Birth Certificate for proof of age. NOTE: It must be the Birth Certificate; no other document is acceptable. Please bring a copy of your birth certificate on Sunday. Try on/Order/Pay for Uniforms: Come prepared to try-on, order and pay for your team uniforms (approximately $220 for players new to ECE). ***Note: we are using many pieces from our uniforms from last year, so players who already have uniforms will only be required to order one new jersey (approximately $50 for players returning to ECE). Reserve players may want to discuss with their coaches whether or not they should order a uniform. The club owns a limited number of “spare” jerseys. An additional email about uniforms and spirit wear will be coming soon. Please be on the lookout for this additional message. Please bring a checkbook to pay for your uniform pieces on Sunday. Order Spirit wear: Get your spirit on! We will be taking orders for ECE spirit wear so that you can dress “in style” at our tournaments, at school, around town, etc.! If you will be ordering spirit wear, please bring a checkbook to pay for your spirit wear on Sunday. Offer Magnets for sale: Help us advertise our great club by purchasing a car magnet for $10. You’ll love noticing other ECE families when you are out and about in town! If you will be buying a magnet, please bring cash or check for $10 on Sunday. Each team needs a team representative. The team mom or dad is the liaison between the ECE Board of Directors, the coaches, the players, and parents. This person handles communications, collects payments for team incidentals, etc. 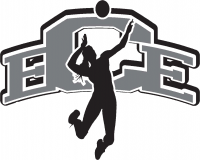 This individual will also need to work with the coaches and/or the ECE Board of Directors regarding the team’s travel reservations for our larger tournaments. Each team needs a social media/communications content owner. This individual will provide content for the website, Facebook, and Twitter pages, including tournament results, player news, photos, etc. We are excited for a great season and can’t wait to see everyone on Sunday!